��������� ������� ����� The modern custom knife.The great collection David Darom ����� �������. Presented in a Limited Edition of 1250 copies, this is the fourth volume in an original series on the art of contemporary custom knives by author David Darom. Exhibited here for the first time are highlights from major private art knife collections from Europe and the USA . 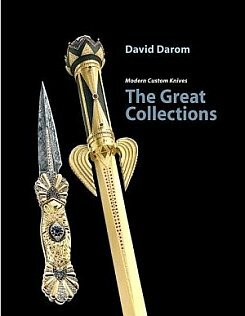 Over 650 high-end art knife treasures, of which many have never before been photographed, are displayed in the exciting visual design-concept created by Dr. David Darom especially for these books.